Like her sisters Emily and Charlotte, Anne Bronte published under a male pseudonym, yet still this novel was scorned by many for its exposure of the abusive male chauvinism that was concealed, like all things sexual, during the Victorian Era. Just as Anne had to use a male pseudonym in order to publish, Helen Graham, the novel's protagonist and a battered wife, must assume an alias in order to gain freedom from her suffering. With her young child, Helen takes up residence at Wildfell Hall, shrouding her past in secrecy yet earning the attentions of a young unmarried country gentleman. Anne Bronte employs the atmosphere of the bleak Yorkshire moors and the cold, rugged gloom of the fictional mansion to set the stage for a tragedy that reveals the secret violence in a society considered well-mannered. 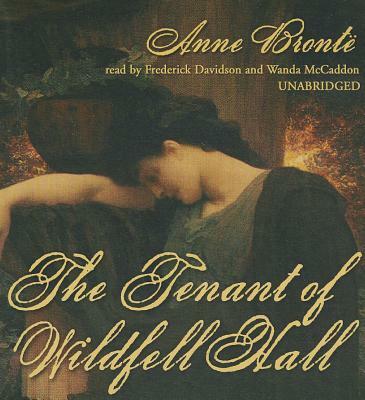 With a powerful plot that reveals the troubles of the times, The Tenant of Wildfell Hall is now lauded as a classic of Victorian literature.